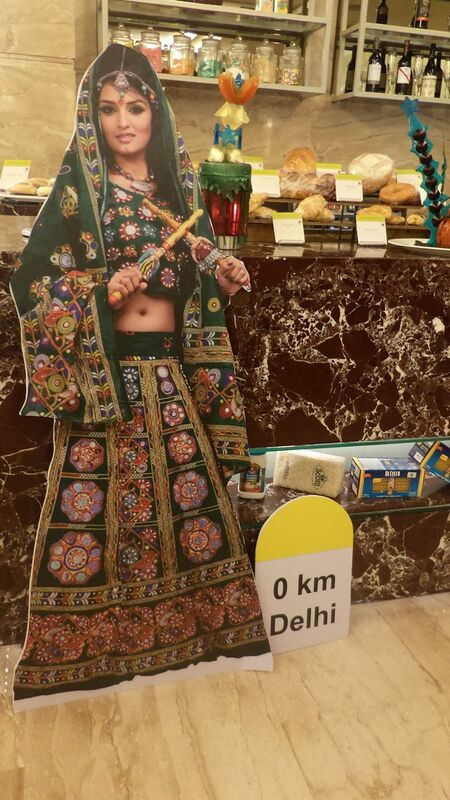 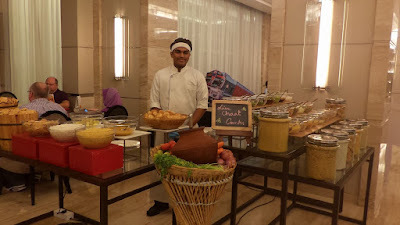 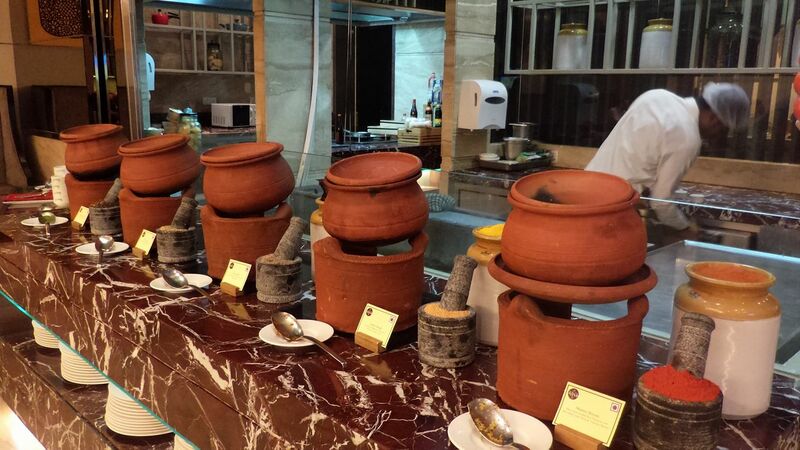 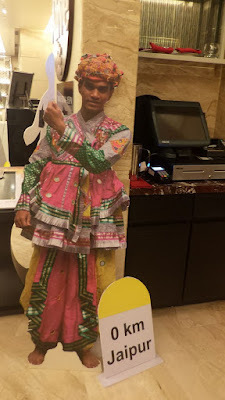 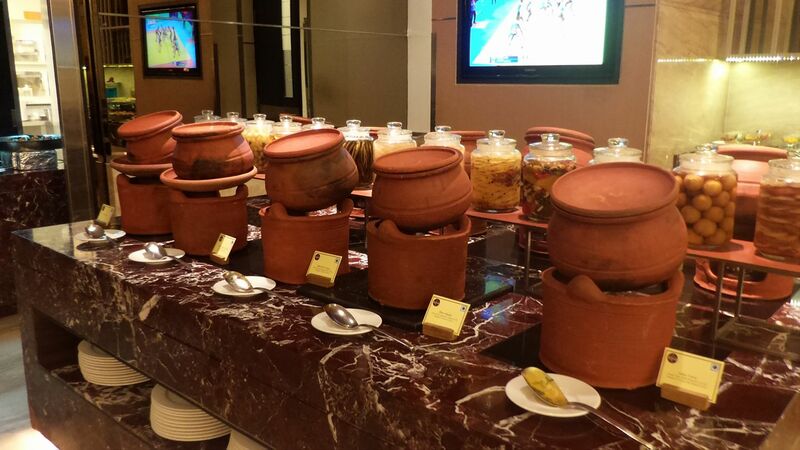 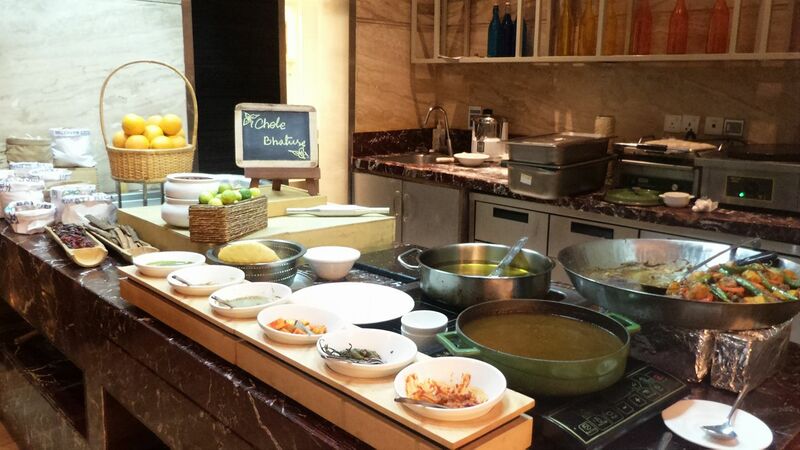 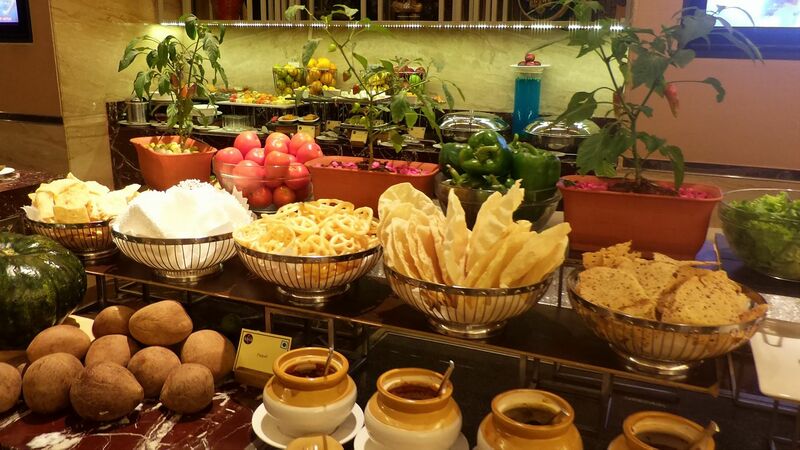 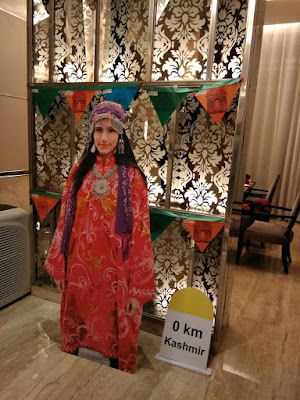 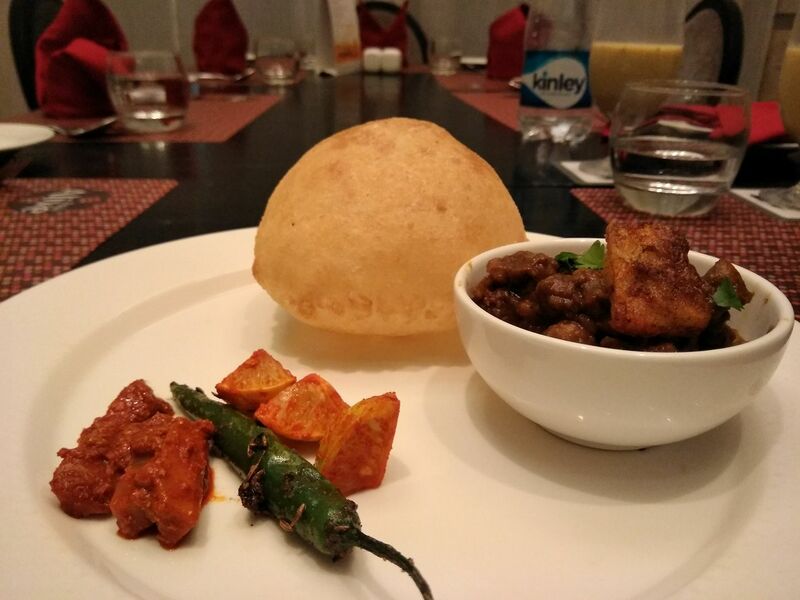 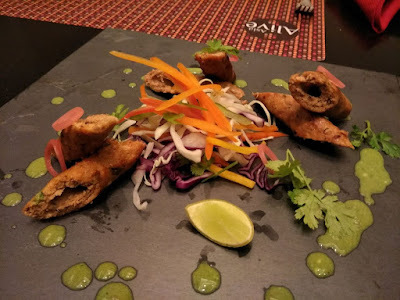 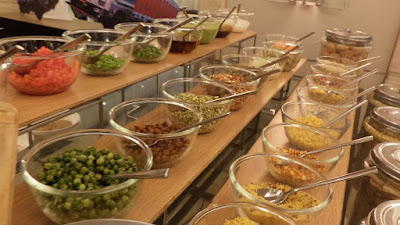 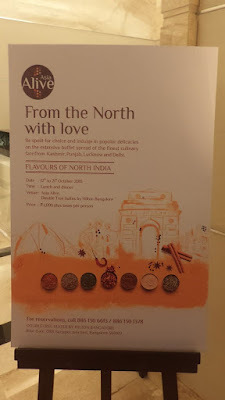 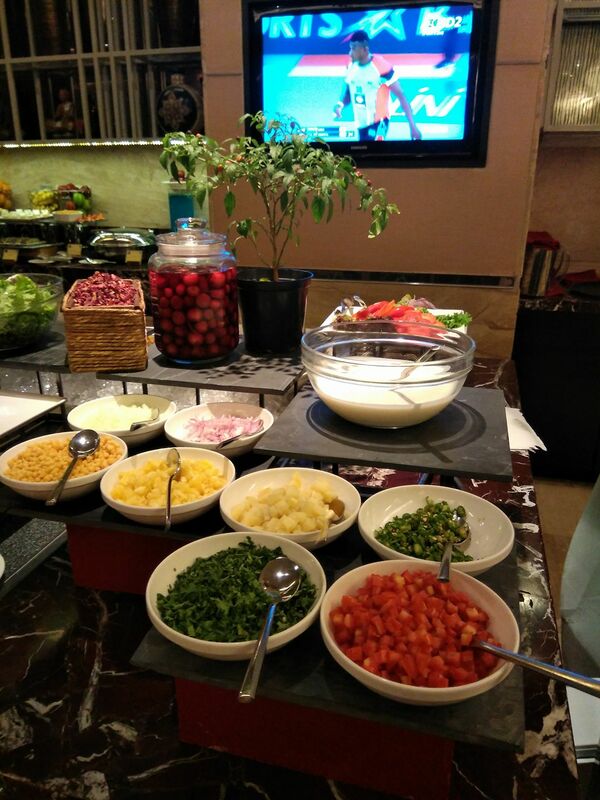 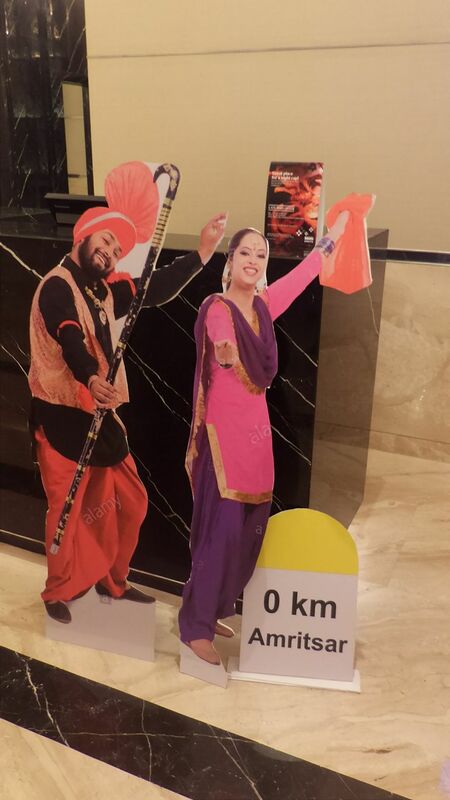 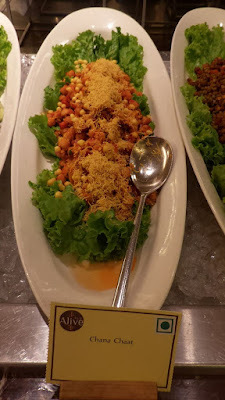 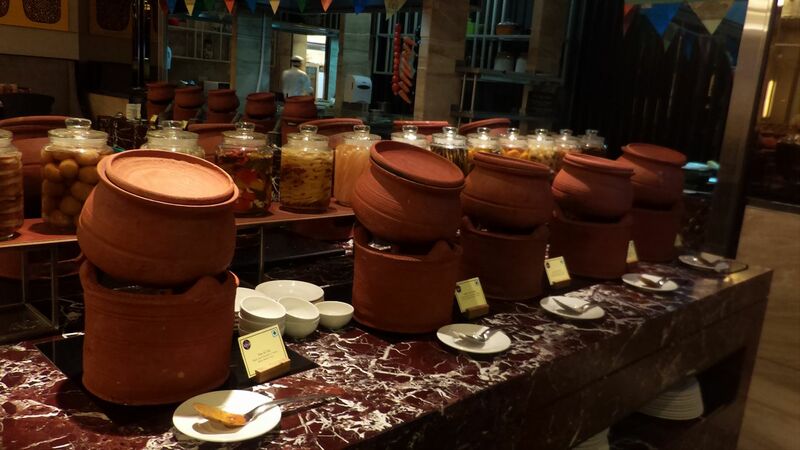 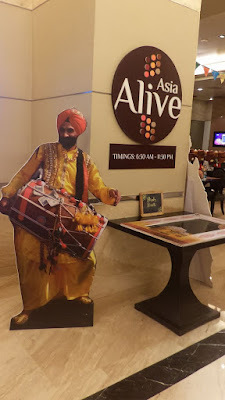 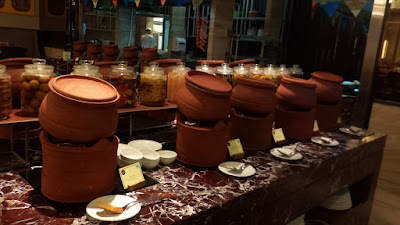 Double Tree Suites by Hilton Hotel has been receiving lot of request for north Indian food so they chose this festival season to display a spread of North Indian food for 10 days under their head chef who hails from North India. 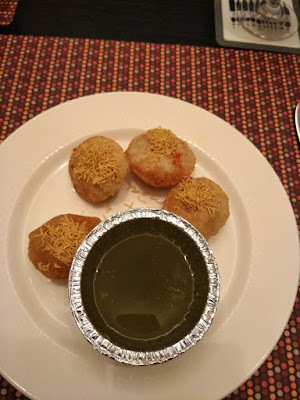 I have been a regular visitor at Hilton Hotel at Embassy Golf Links but this was my first visit at Double Tree Suites by Hilton Hotel located on Sarjapur main road. 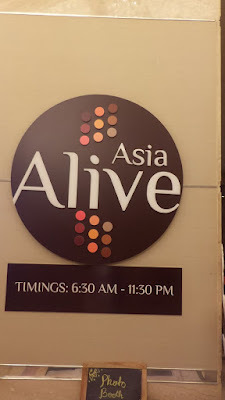 Asia Alive is on the ground floor, next to the reception. 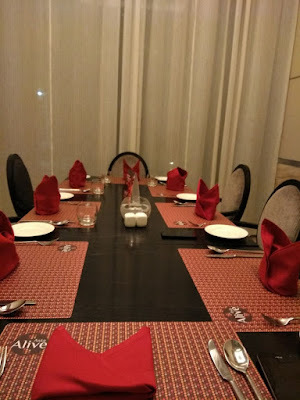 Asia Alive is an asian restaurant has seating area for casual conversations with coffee, main dining area and also private dining area. 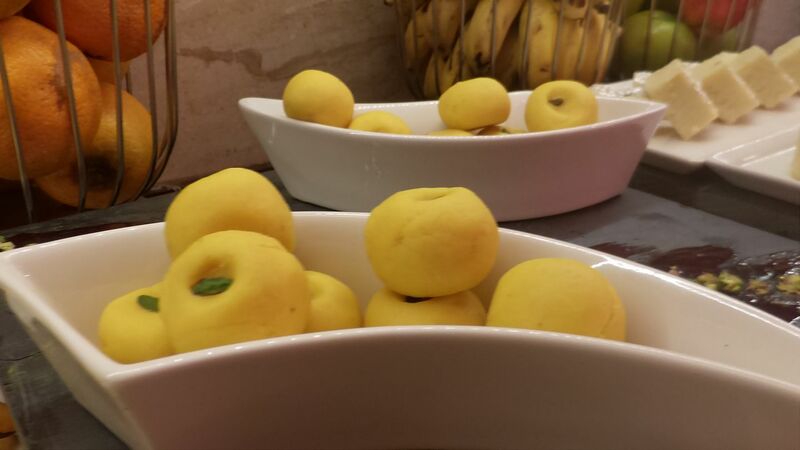 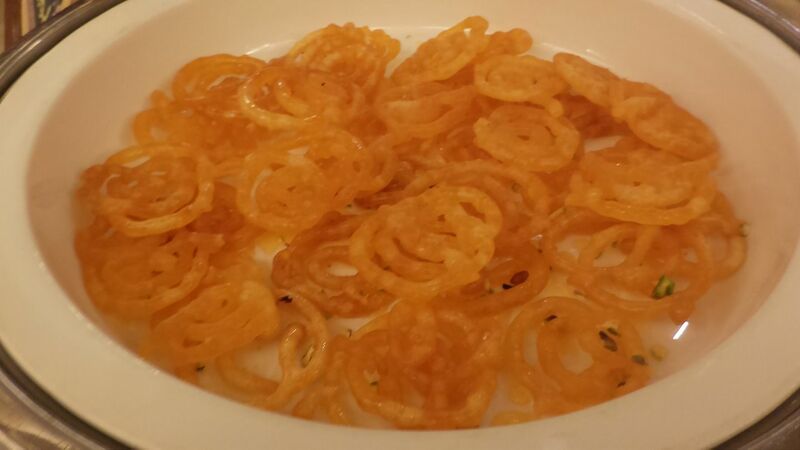 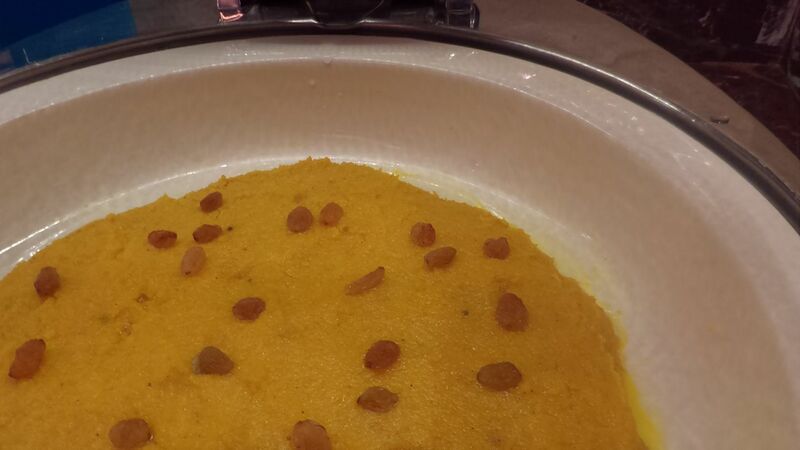 They have majorly targeted food from Kashmir, Delhi, Punjab and Rajasthan. 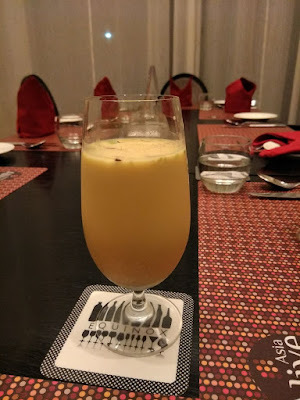 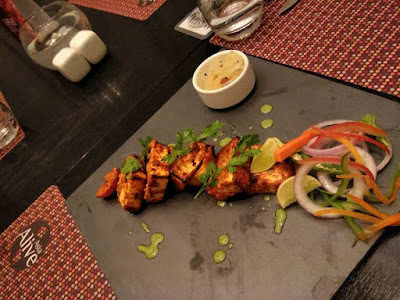 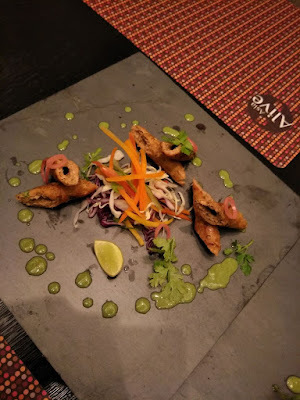 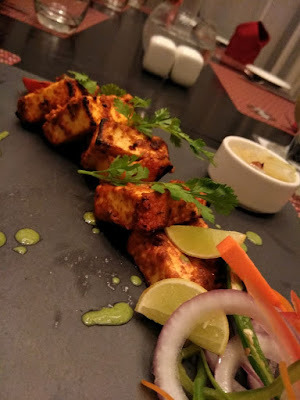 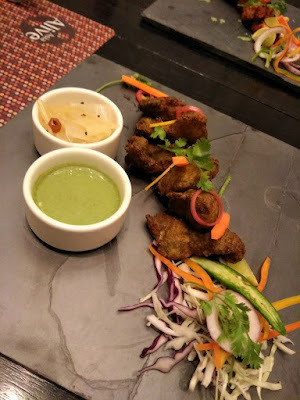 As welcome drink, we enjoyed Badam Milk thandai which would ideally fill your stomach so please just have few sips and move to the food ;) The starters came which had Achari Paneer Tikka, the paneer was really soft. 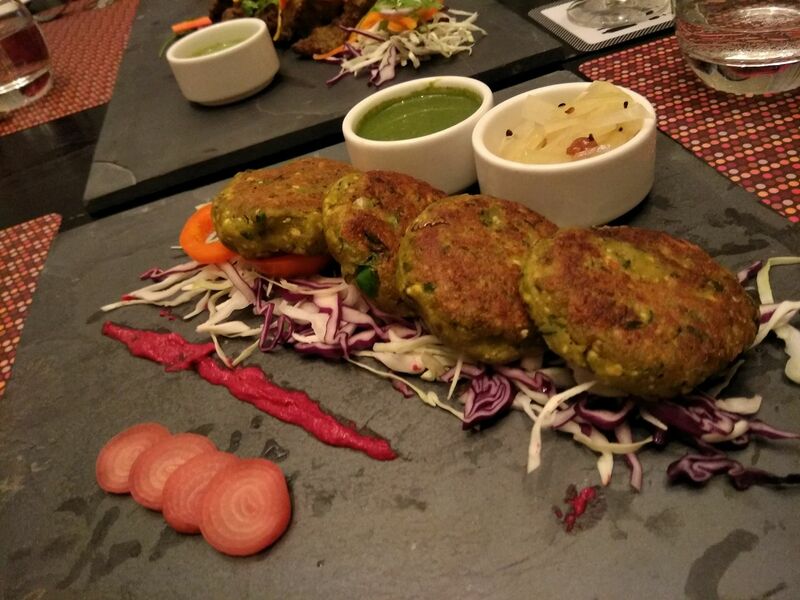 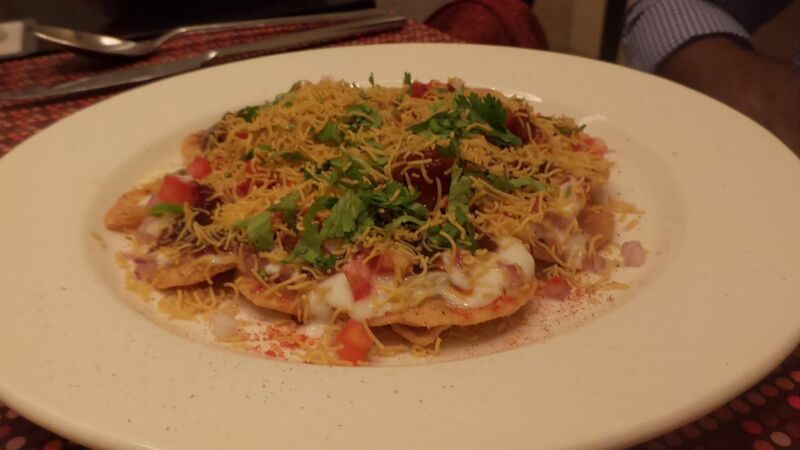 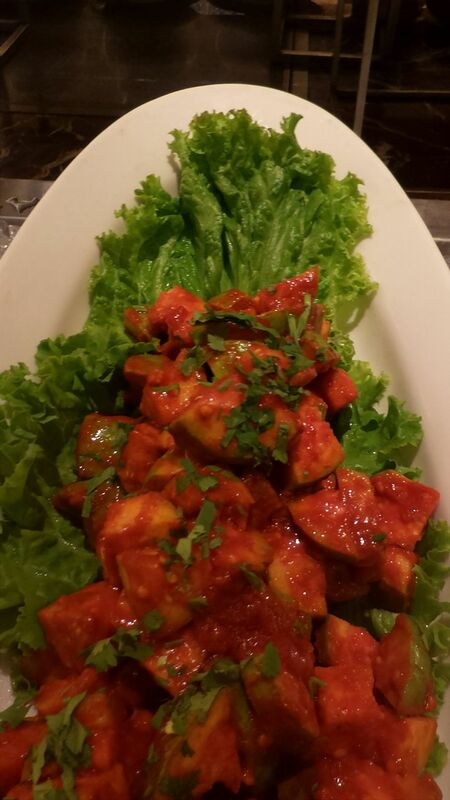 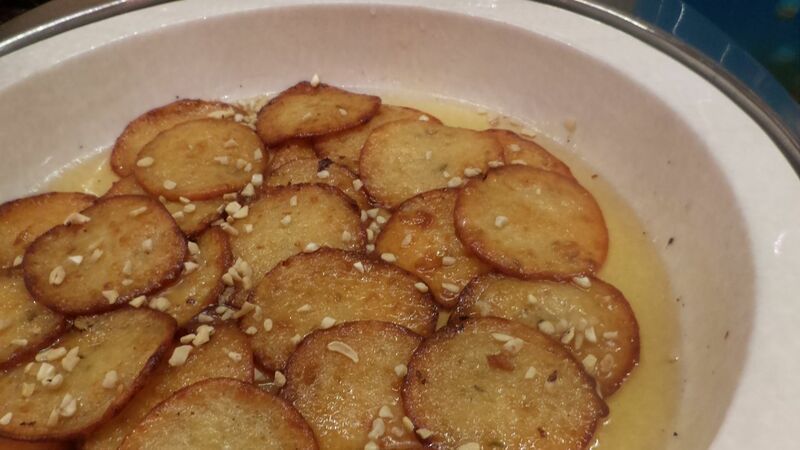 Matarwali Tikki, it was soft and moist and can be enjoyed best with mint chutney. 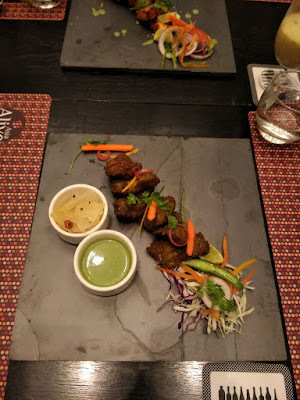 For non veg, we were served Mutton sheekh kebab and Amritsari machhi which were tasty but could have been more on spice. All these starters tasted best with Papaya relish which was so tasty that we ended up eating the relish alone most of the time. From the Chaat's counter, I had to have Pani Puri as it's my favorite, I also tried Papdi Chaat and the famous Raj Kachori. From the Chole Bhature counter, I had to have a bhatura which in Bangalore you may not get, as they serve you puri ;) The Chole Bhature and Raj Kachori was just like the one I have had in Delhi so i was very happy with it. 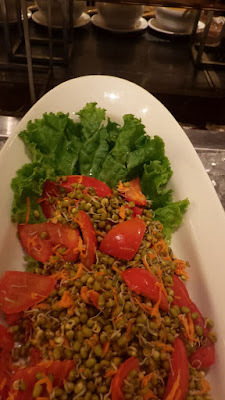 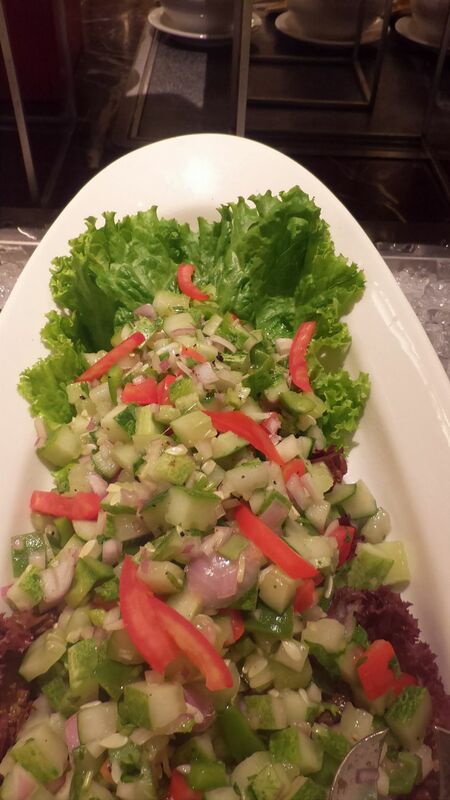 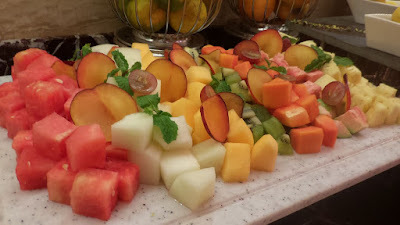 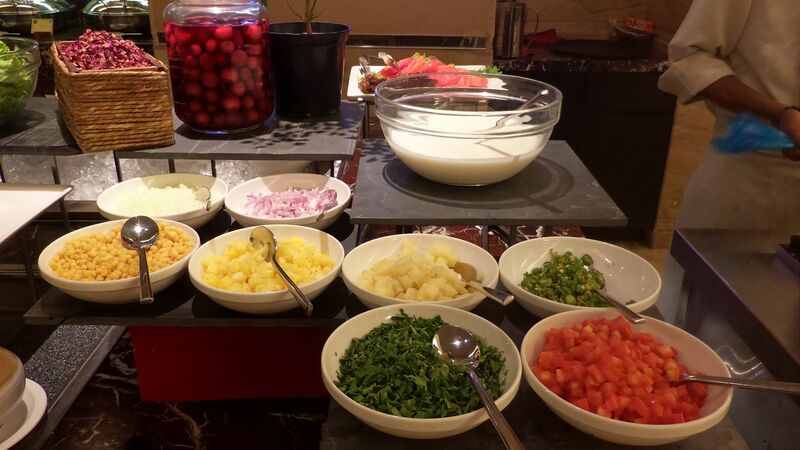 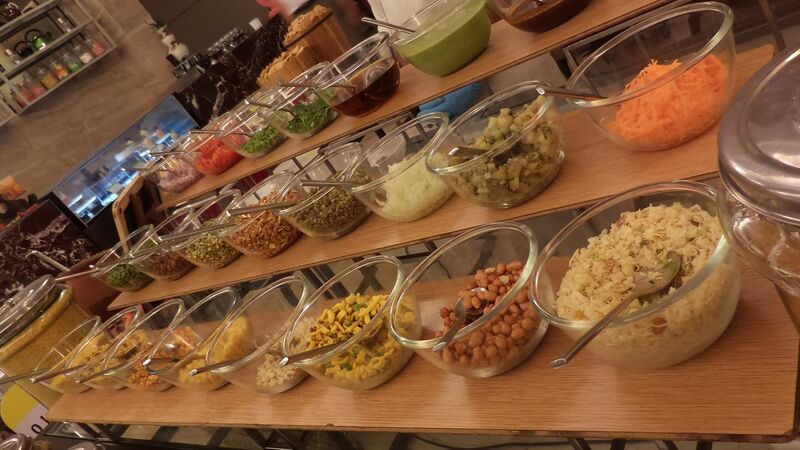 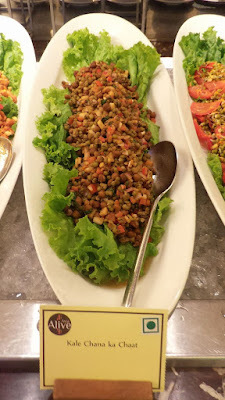 I moved to the buffet spread and enjoyed some Salad's which were tempting enough. 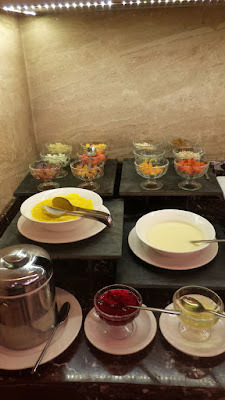 They also had a variety of Raita on offer which one can customise it to their taste. 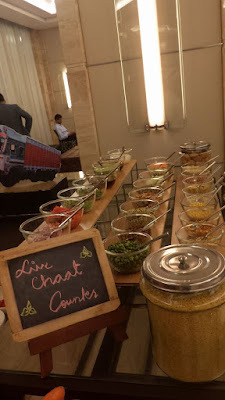 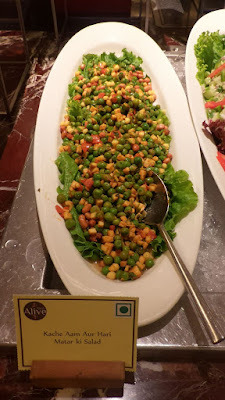 As the food had already filled our stomach, I gave a miss to most of the buffet spread, now who can try this entire spread at one go? 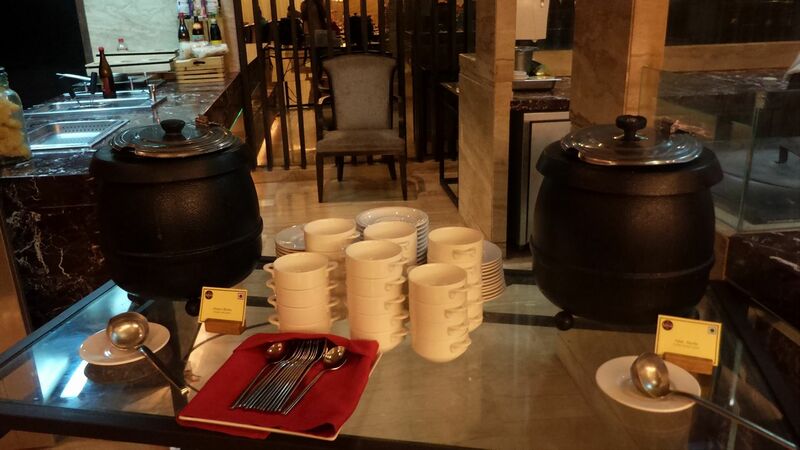 2 soups were available along with a spread of vegetarian and non vegetarian curries which can be enjoyed with variety of naan's, paratha's or rice. 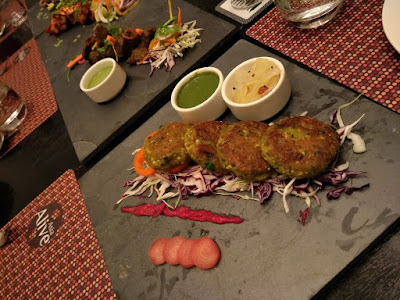 You can try some of the paratha's which are from parathe wali gali in Dilli :) I tried the dishes which were of my interest like the Mutton rogan josh along with naan and some chicken biryani. 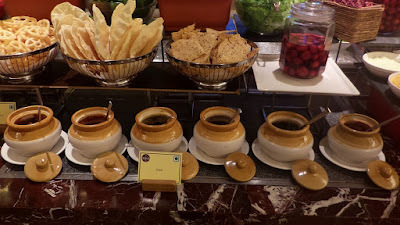 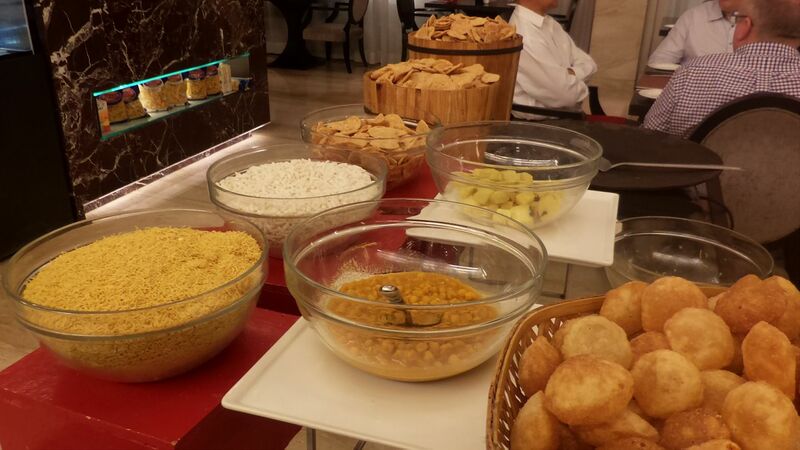 They also have displayed a variety of papad's which you enjoy with your mail course. 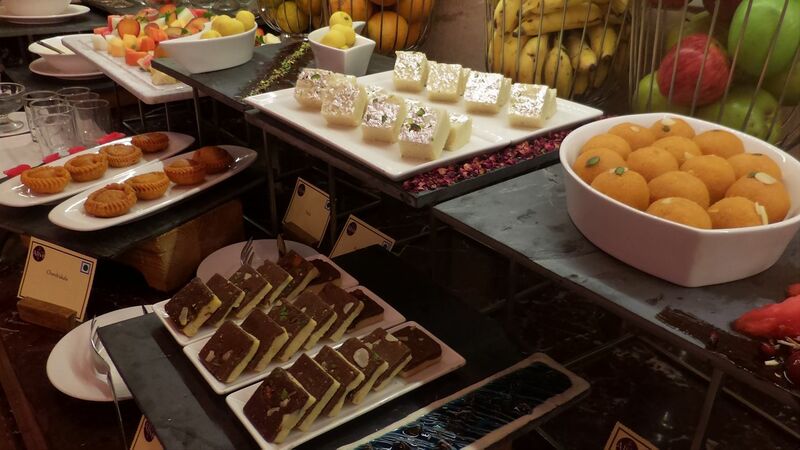 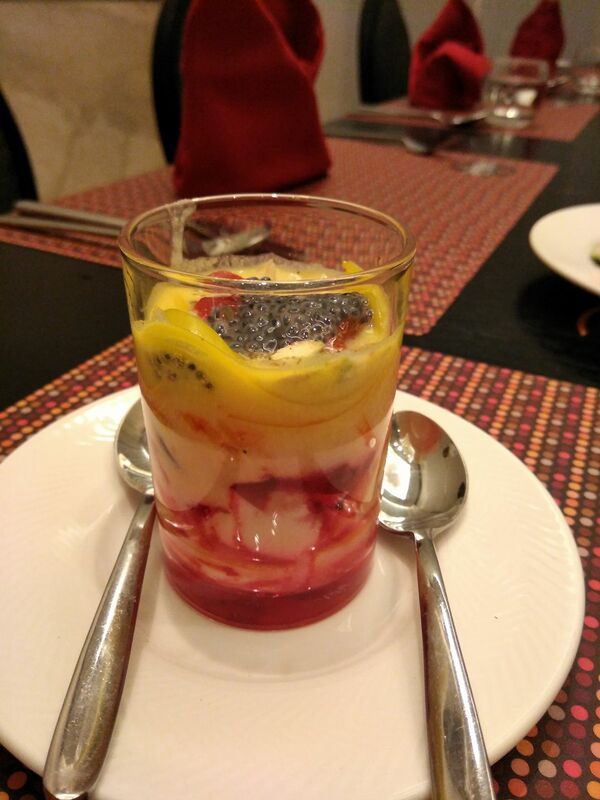 Moving to desserts, apart from feshly cut fruits which had Kiwi, my favorite, and a range of indian sweets like peda, laddu, barfi, malpua, halwa, freshly made jalebi's and also a live counter for falooda. 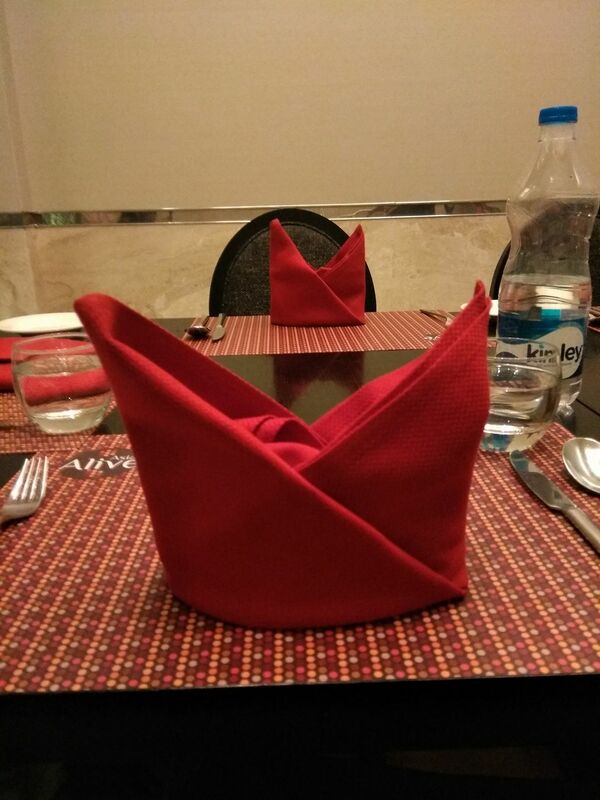 Photo's have been shot from Le2 phone. 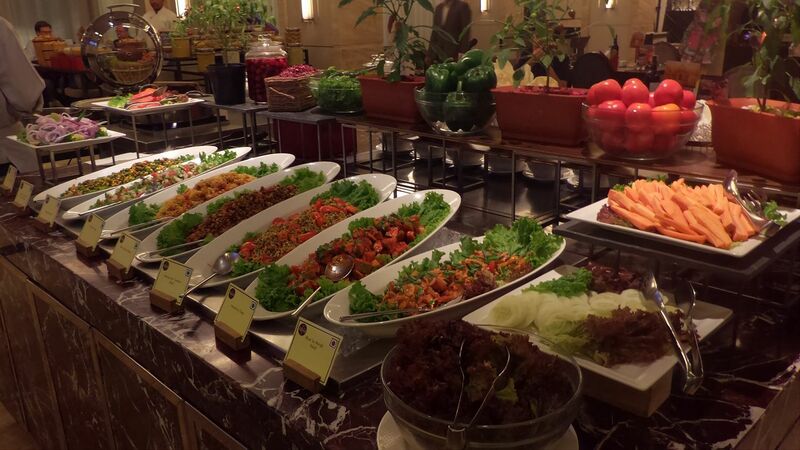 The entire buffet spread can be enjoyed from 12th to 21st October 2016, for lunch and dinner, at Rs.1099+taxes and charges. 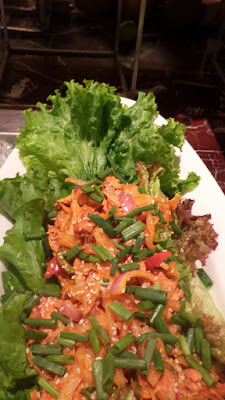 They keep changing their menu so you might enjoy something different from what I have relished.